This is daily morning gym style look which everyone can wear . This simple look can be achieved with only 3 products and fulfills the requirements of the daily care. Save my skin from sun so it was what i waited for. 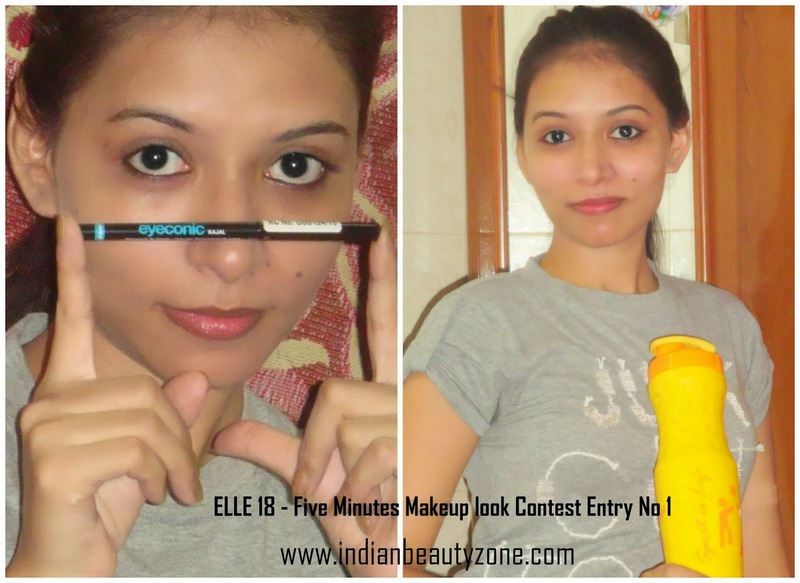 I am currently trusting upon lakme eyeconic kajal which is easy to apply and highlight the eyes in one stroke. I applied Burtbee mint lip-balm on lips which i almost a big fan of. This is my Lecture day look. I used a quick base make up in form of Lakme CC cream and to highlight the eyes. created a smokey effect in less than 2 mins and for which i used Loreal Infallible monos pebble grey 020. it has a nice pigment and gave me the desired look. Like i always believe in kajaled eyes, i used Maybelline colossal kajal that gave me long lasting support. To contrast/ compliment the whole B&W look i used Oriflame visions pink berry which provided me that nicely poped colored lipshade i was yearning for. So it was my pick for a day start and i got compliments for it. Thanks!! I am loving the simmering and glittering Lakme gold dust on the eyes. I am glad that u liked it! Loved both the looks, specially the traditional look. Great job on the image tutorial you look pretty. Thankyou so much for your kind words. Wow... the traditional look is amazing!!!! it is so nice of u! it's so nice of u!! i will experiment more from now. it's so motivating. Believe me it's so encouraging for me. i m learning and wish to do well . It's so nice of you. That's so nice of u!! Coming from you is so motivating.